My next mod in my quest to increase airflow was to install the Forge intercooler hard pipes. These Forge pipes are a little more free-flowing and don’t have some of the restricting designs as the OEM pipes do. A huge thank you to my friend hadjiikong without his help (again) this install wouldn’t have happened. If you plan on ordering these, note there are two types of intercooler pipes from Forge, ones for the JCW and one for the S. I strongly recommend calling them to order your specific pipe kit. I’ll explain later in the post. Mini does a good job of blocking the air flow to the engine with their various resonators, catalytic converters, and odd bends. The intercooler pipes are no exception. I went with the Forge hard intercooler pipes because I liked how they promoted a more free-flowing design without any unneeded restrictions. Looking at one of the stock pipes, you can see how Mini designed the pipes with dents instead of designing a smaller diameter tube. These dents, although small, still restrict airflow. the Forge pipes don’t have dents! Designed dents to restrict airflow. There are two sides to the kit, the hot turbo side (passenger side) and the cold turbo side (drivers side). The cold side is the easier of the two sides to swap pipes so that is what we started with. 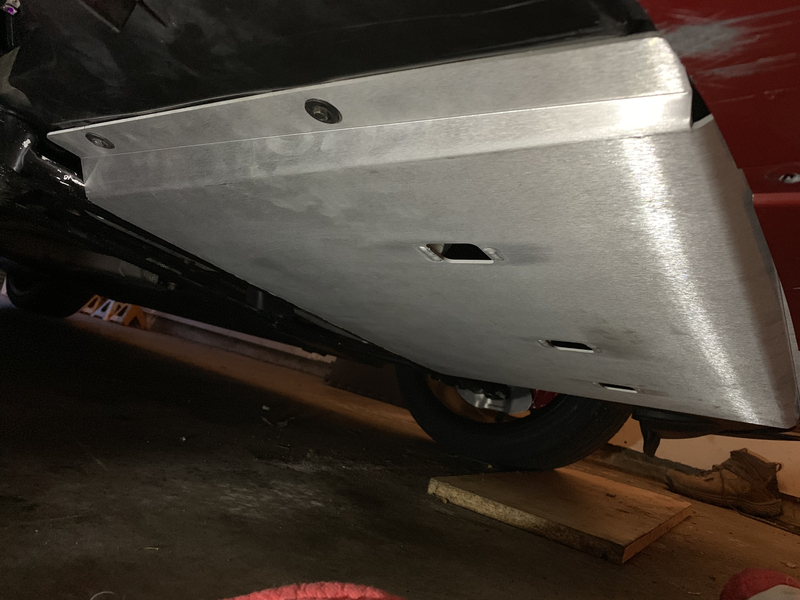 The first step is to remove the stock skid plate. This tube was pretty easy to see once you remove the stock or aftermarket air box. Simply get a flat head screwdriver and pop out the clamp then go under the car and follow the pipe down and unclip the same looking clamp. Once that is done, pull the tube up to remove. Stock pipe and you can see the two places where it connected. After the stock pipe is out, retrace your steps with the new pipe. We attached from the bottom of the intercooler first then up to the top. The top connector was a bit tricky because you have to put the silver connector on first then slide the rubber coupler all the way back and then slide it onto the silver connector. Use WD40 or similar lubricating fluid to make the coupler slippery. It helps tremendously to slide everything into place once the connector and the coupler are aligned. Once it is slid onto the silver connection just screw the bands down and you are done with the cold side. Up next, the hot side. Remove the passenger side wheel and also the wheel well to access the area you need to get to. It helped to turn the wheel to the right, full lock. This side used the longer two-piece hard pipe that is joined with another coupler. 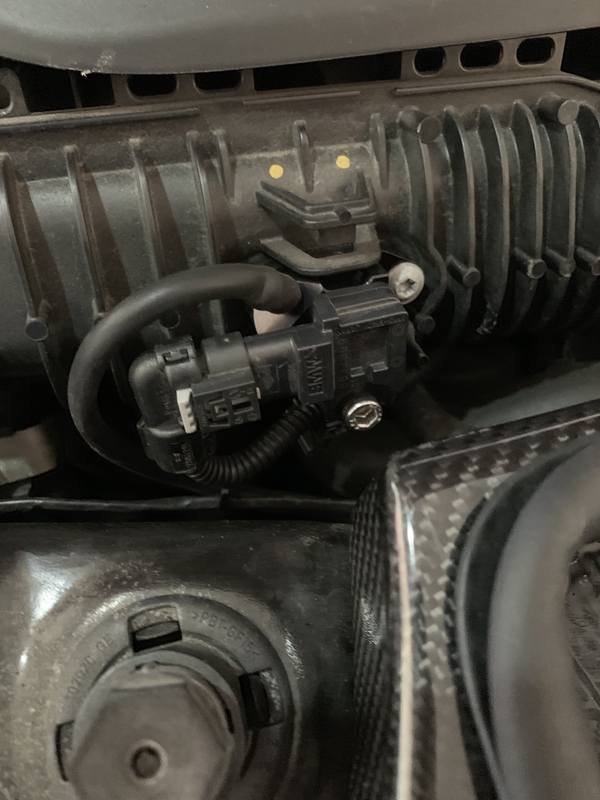 Get under the car and find the outlet on the intercooler, unclip the stock clip and follow the tube back to a little plate where two screws need to be removed as well. This is the hot pipe to swap out next. Two bolts that need to be removed. Follow the stock pipe up and you will see where the other end connects. Unclip that same clip that has been on all the other pipes. It was easier to access the clip by going behind the shock. The connector and clamp to remove! After everything is unclamped, pull the old tube out. It was easier to go out the side of the wheel well. Once it’s out just reverse the steps. Attach one end, attach the other, lubricate the coupler and slide together. Overall it was a fairly easy install. I was fortunate to have seen the same pipes go on hadjiikong’s Mini about an hour before so we knew the steps. I know you are wondering why my pipes are red, aren’t you? Well, remember that statement earlier about there being two different size kits? We found out the hard way and luckily had an easy fix. Hadjiikong ordered a kit and so did I. He has a JCW, me the S, he got an S kit and I got a JCW kit. Naturally, assuming it was the correct kit he went and got the pipes powder coated only to find out that they didn’t fit! Luckily, we were able to trade kits and everything was ok but call them to order! Finally, I think I have swapped out all the restrictive pipes Mini has blessed us with! Onto the next project!